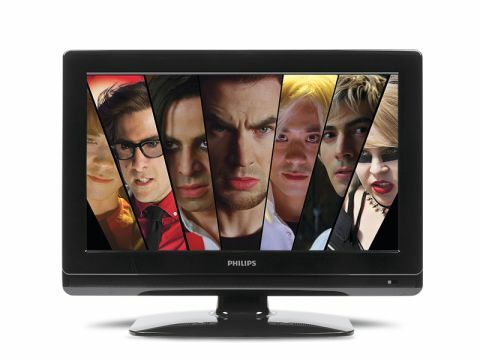 Philips' philosophy of creating value through quality holds true with the capable 26PFL3404D 26-inch LCD TV. This set is neither the cheapest nor the most feature packed, but these considerations are offset by a performance that comfortably outshines the Toshiba 26AV615D and Samsung UE26C4000PW LCD screens. Like its four main rivals, it is HD Ready and carries just two HDMIs, but images are put through the Digital Crystal Clear treatment and there is a USB port for multimedia playback. It's easy to use, with menus presented in a simplified version of Philips' attractive, 'spooky' graphics which has glowing bluey-white text and images sitting on translucent black filters, controlled with ease by a scaled-down version of the sort of excellent remote controls that accompany the brand's larger sets. The picture is one of the most stable compared to it's main rivals, with all sources presented cleanly, with lots of detail, solid edge discipline and very little motion blur. Standard-def stuff is neatly scaled, but feed it some HD and the pictures really come to life, with an impressively natural palette and convincing sense of depth, although black levels, while decent in the context of its peers, are generally rather average. Our sample hit one slight bum note by producing a distracting, electric whine from the rear of its cabinet when switched on, but this wasn't sufficiently pronounced to be distracting.